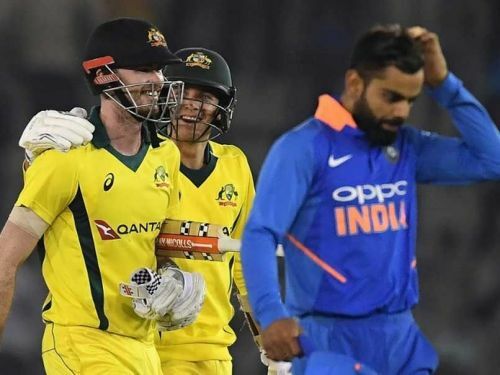 The fourth ODI between India and Australia turned out to be a high scoring affair. India won the toss and elected to bat first. For the first time in the series, the Indian openers got off to a good start. Rohit Sharma missed out on a well deserved century by five runs. The openers added 100+ runs for the 15th time in ODI cricket. Shikhar Dhawan, who was going through a lean patch, came back to form with his best ever ODI score. Once they lost the openers, the Men in Blue struggled to find the boundaries, which brought down the projected score. 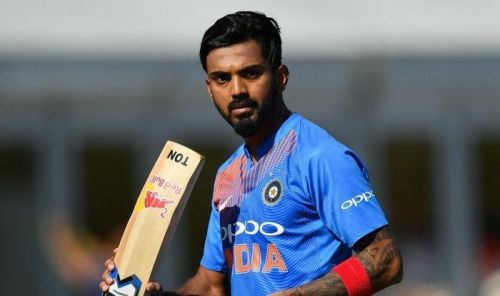 A cameo from Pant and Vijay Shankar ensured that India crossed 350 runs for the 27th time in ODI cricket. The best moment of the innings came when Bumrah hit a last ball six and Kohli's reaction to that shot was animated. Chasing the huge score, Australia lost two quick wickets. But, last match's centurion Usman Khawaja and Peter Handscomb had a great partnership which set up the game nicely. However, Australia kept losing wickets in the middle. From nowhere, Ashton Turner turned the game with a scintillating 43 ball- 84 runs. The visitors successfully chased down the fifth highest ever score in ODI history. We take a look at three mistakes from India that cost them today's game. Rohit Sharma and Shikhar Dhawan gave India a much needed strong start, which they were failing to do in the first three ODIs. Dhawan scored a century and Rohit missed out by five runs. India lost the first wicket at the score of 193 runs, clearly looking for a 400-run target. It's understood that India was looking to give more overs to Rahul so that he can get into the groove. But the batsman from Karnataka played too cautious of an innings, which impacted India's run rate badly in the middle overs. If Virat Kohli had come at three instead of Rahul, he could have continued the momentum provided by the openers. And with the kind of form Kohli is in, India would have easily reached around 400 runs. It would have been a winning total in this match.